As the government met with the non-signatory United Nationalities Federal Council (UNFC) in Yangon to iron out the signing of Nationwide Ceasefire Agreement (NCA) and journeyed to Pangkham and Mongla to find ways on how to include United Wa state Army (UWSA) and National Democratic Alliance Army (NDAA) in the peace process, the report of renewed furious armed conflict between the Arakan Army (AA) and the Military or Tatmadaw on November 8, becomes a stark reminder of the unresolved ethnic conflict that has plagued the country for so long. According to him the ambush that occurred on November 8 that killed more than a dozen of Tatmadaw troops, one civilian student and wounded three civilian women happened near Nung Bu village at the upper part of the Kaladan River. On the accusation that the AA has caused harm to the civilian population, he explained that earlier on November 5, the AA has made known to the public around Paletwa not to make use of the Kaladan River and its tributaries, due to the ongoing Tatmadaw offensives and if they have to go about out of necessities to be utmost careful. Meanwhile, on November 9, at National Reconciliation and Peace Center (NRPC) Yangon, presidential office spokesman Zaw Htay said that it should pay attention to the fact that after the AA and Tatmadaw armed engagement in August, the Arakan Rohingya Salvation Army (ARSA) attacked in Maungdaw area. Another criticism on AA came from Chin National Front (CNF), which could escalate the latent inter-ethnic conflict into a full blown one, if it is not handled properly. CNF general secretary Shwe Khar regarding the recent conflict said that the AA should not be residing and conducting military maneuver in Chin State, including attacking the civilians. “So far as we know, the people that were hurt were not going together with the Military. The civilian going about on their own, have to meet with death and also being wounded, are becoming too much (to bear),” stressed Shwe Khar. 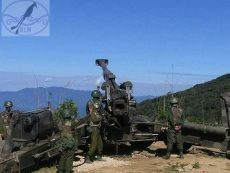 Furthermore, CNF vice-chairman also said that according to the state-level ceasefire agreement with the government signed in 2012, only the government and CNF troops would be allowed to station in Chin State. According to all the indications available, the Tatmadaw and the government are committed to crush the AA or at least teach them a lesson and thus, the offensives would likely go on and continued intensive fighting could be expected. 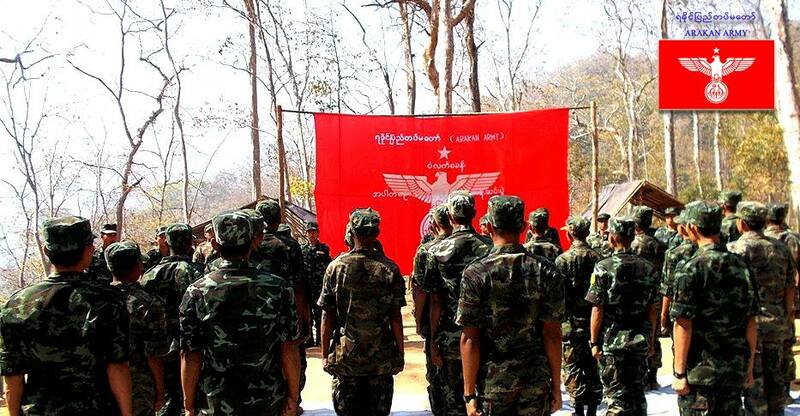 The AA would likely remain in Paletwa areas in spite of the protest from CNF, as the former’s spokesman Khaing Thu Kha told the RFA recently that its troops would maneuver according to the needs of the military condition, like the Tatmadaw’s troops have been spread out all over ethnic states, even though the ethnic nationalities are against the military occupation. At the same time, the government would try to solicit the remaining four UNFC members to ink the NCA without giving in to the latter’s eight-point NCA amendment proposal. But it remains to be seen on how the UNFC would respond to it when the two parties meet again in the days ahead. Meanwhile, seen from the recent development, the government meeting with seven-member Federal Political Negotiation and Consultative Committee (FPNCC), which AA is a part, as a collective group is not in the pipeline, as the Tatmadaw has from the outset decided that the AA, including its other two members – Kokang and the Ta’ang armies – have to surrender first in order to be able to participate in the peace process. In sum, the war in Paletwa would go on to the chagrin of the population in the area, without any positive sign that the AA would be able to take part in the peace process and the wish that the AA should leave the area as demanded by the CNF will be unfulfilled.